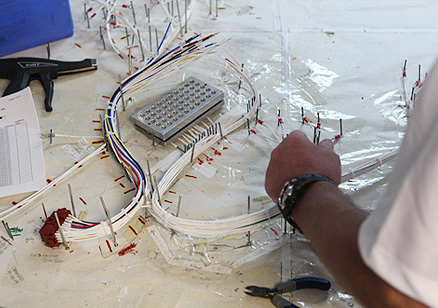 Vansco has many capabilities in designing and manufacturing of electrical wire harnesses and cable assemblies. By offering options to build to print, build to no print, or make a print, Vansco is sure to provide the best possible manufacturing solution. In addition, Vansco can work from CAD drawings or build a prototype. Ancillary services including stripping, potting, cutting, terminating, hand labeling, and inspection reporting are offered on-site. Vansco also offers convenient stocking programs, in-house testing, and free delivery. Learn more about Vansco’s capabilities by watching our video. Contact us with any questions or to request a quote. We will respond within 24 hours.